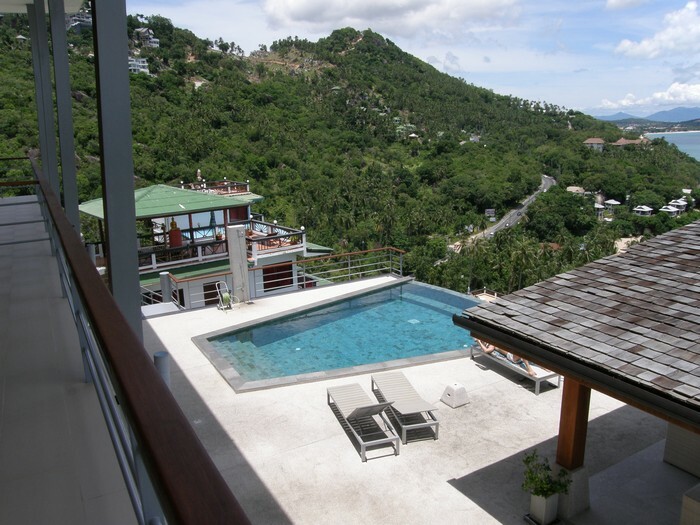 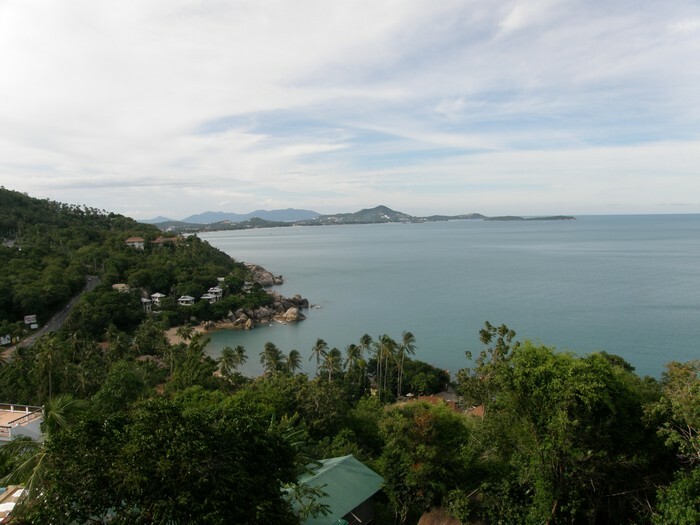 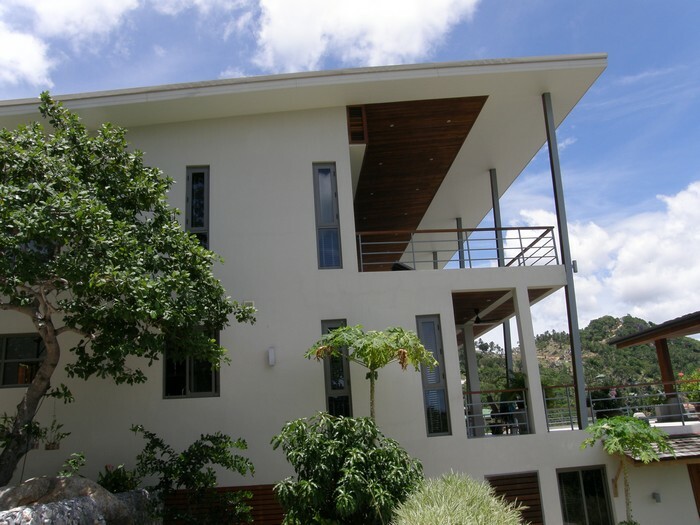 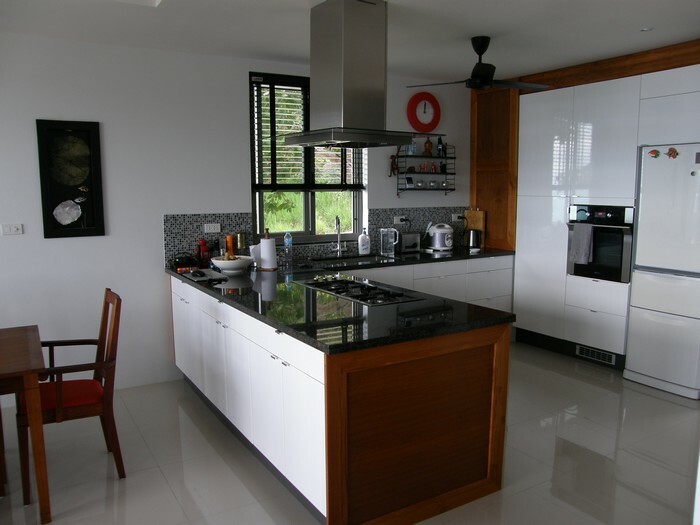 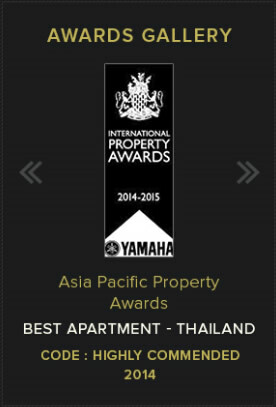 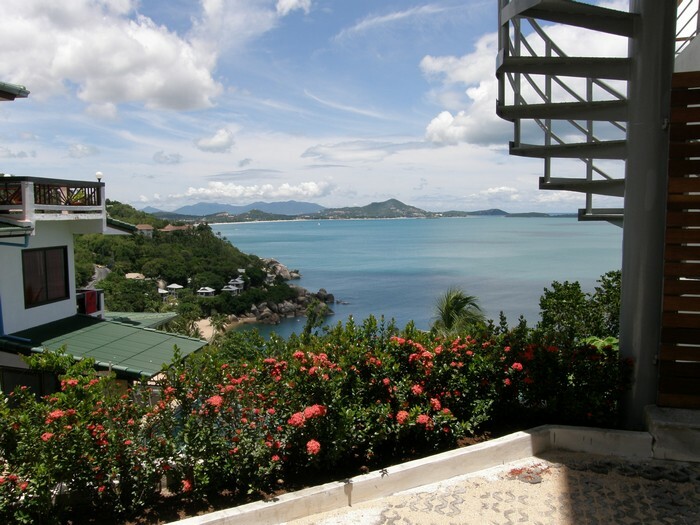 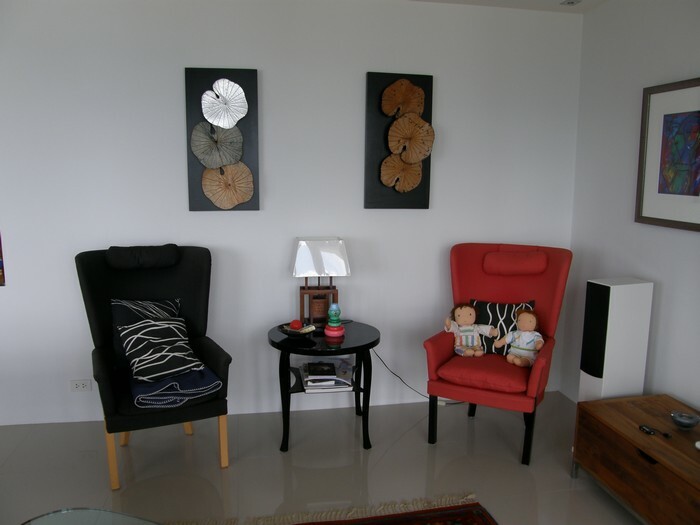 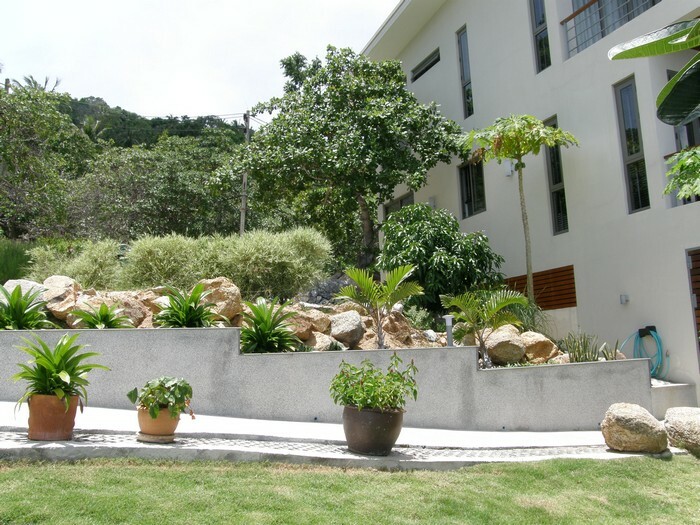 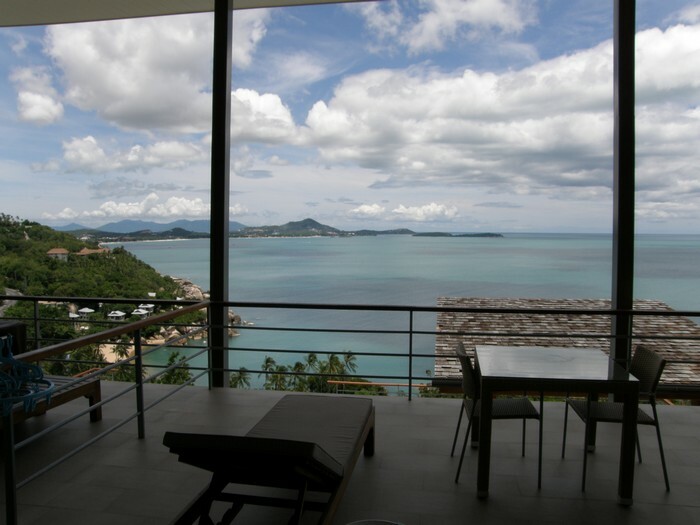 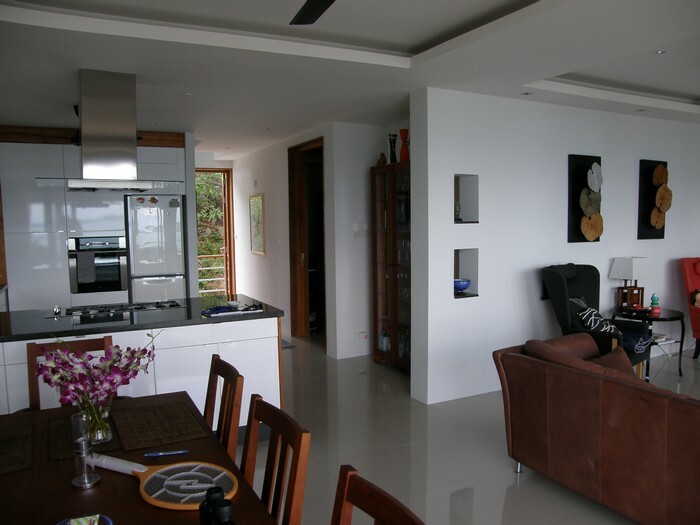 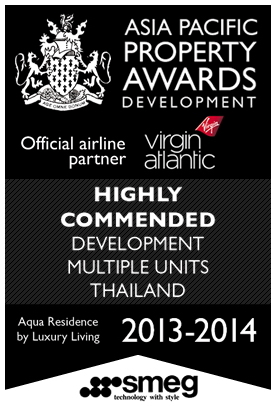 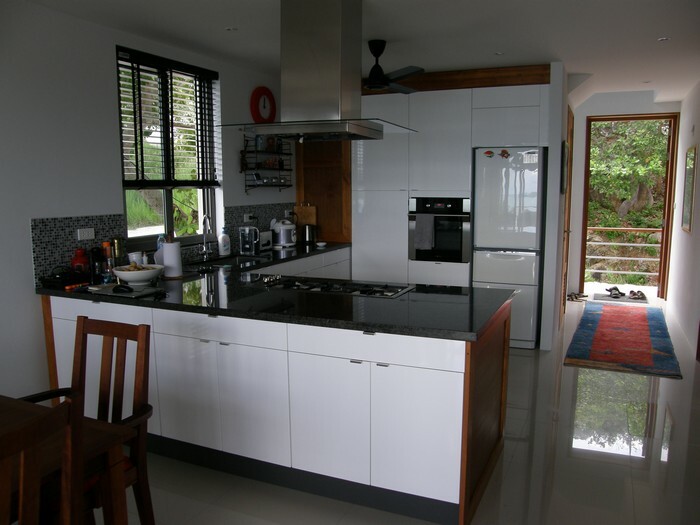 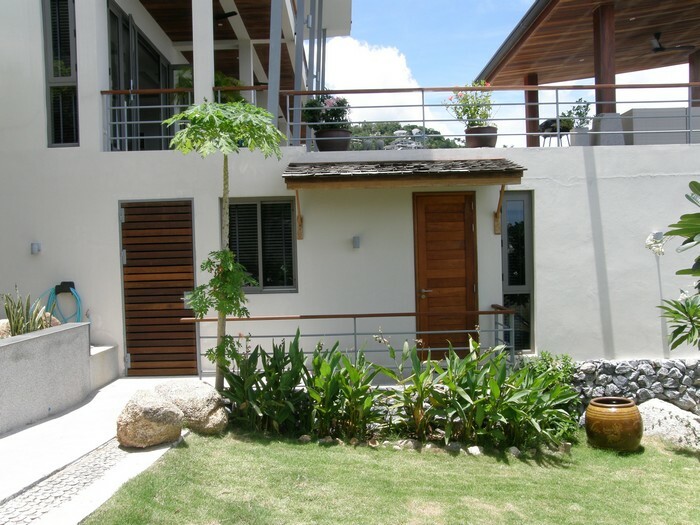 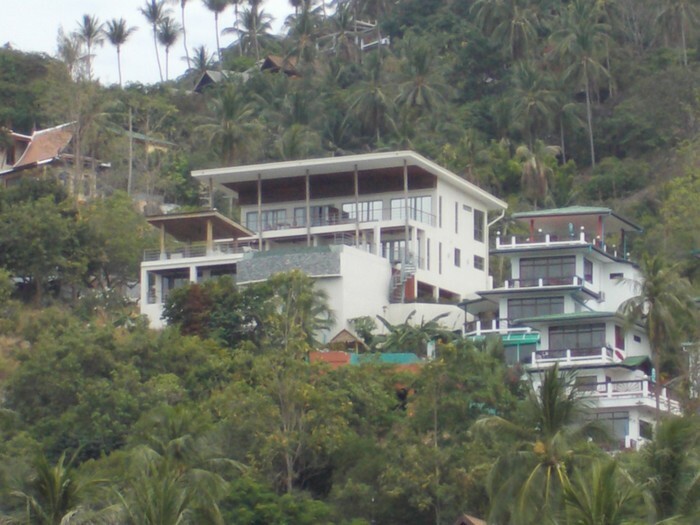 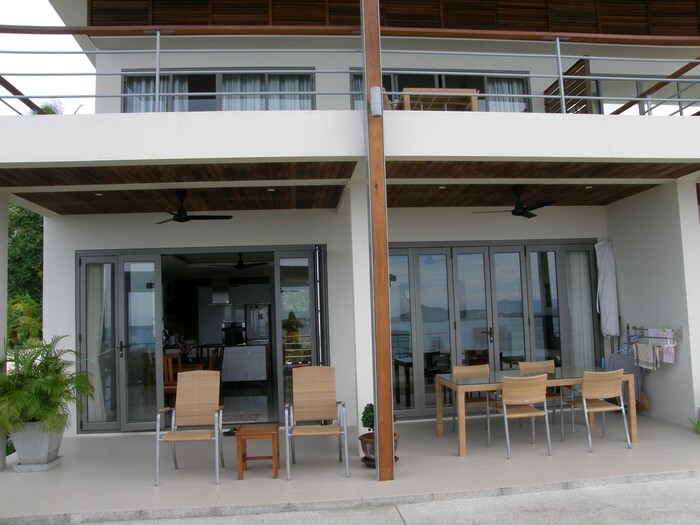 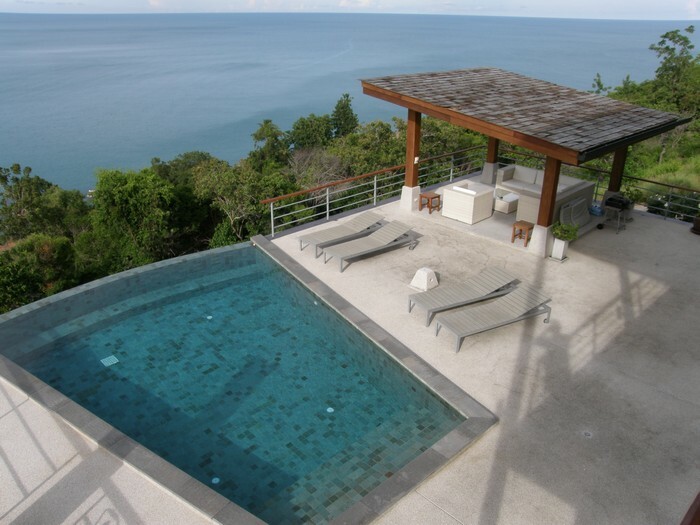 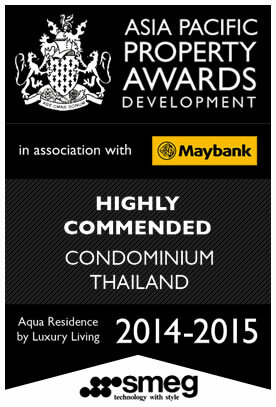 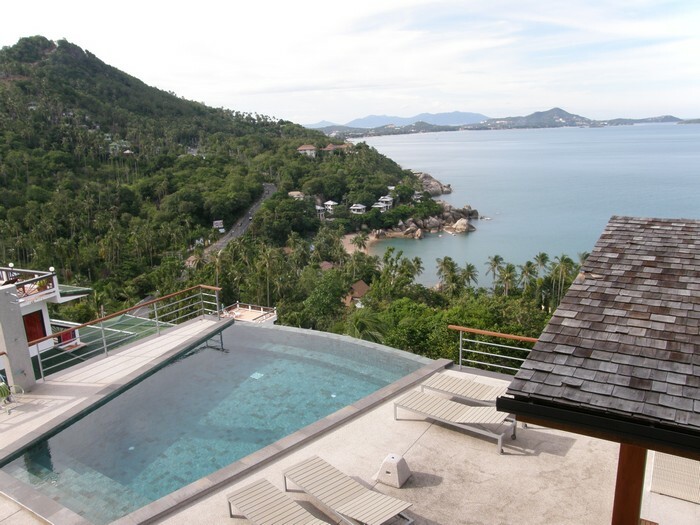 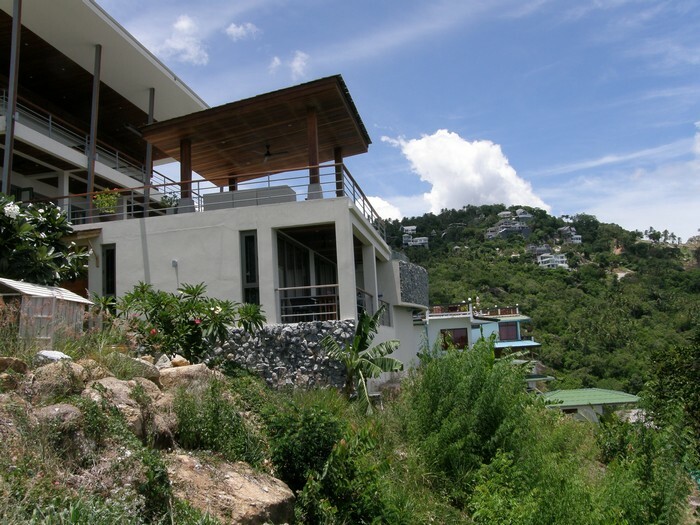 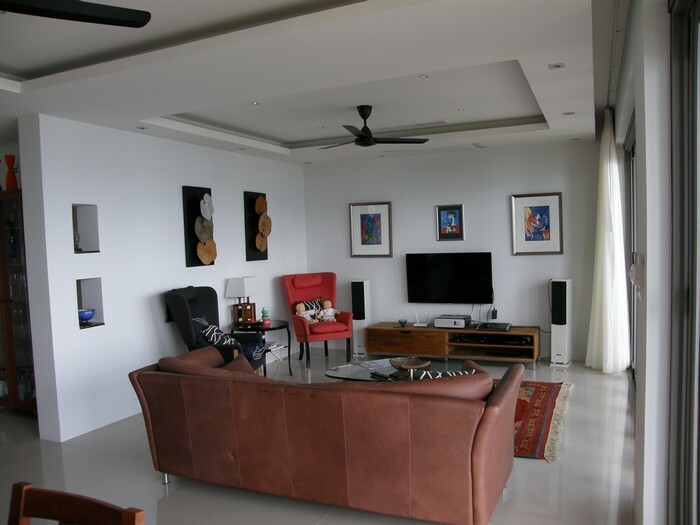 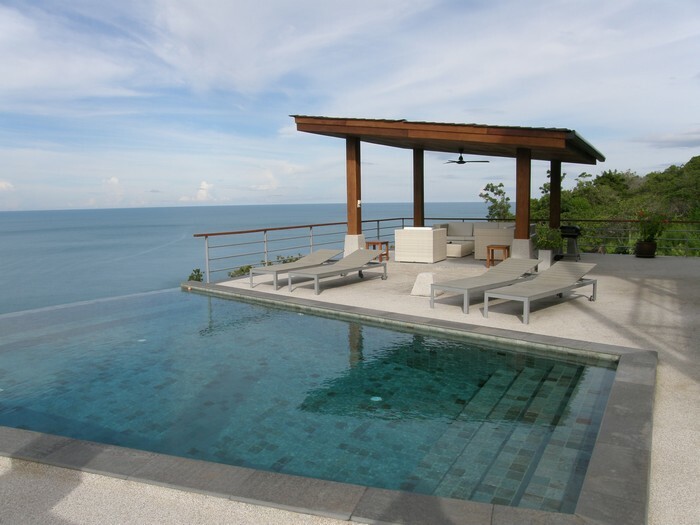 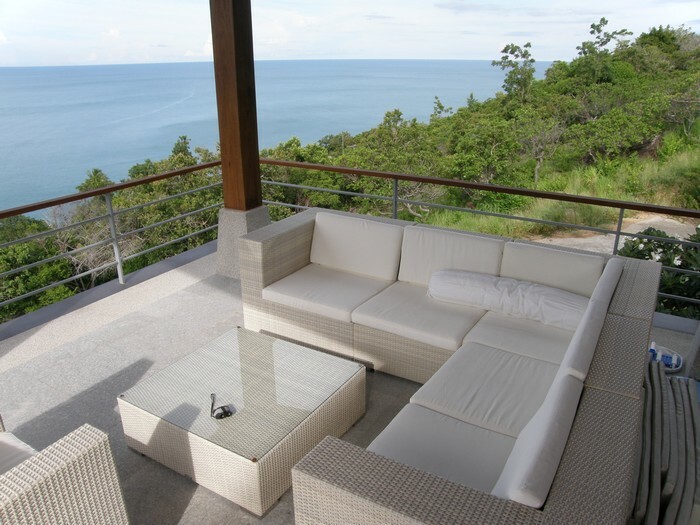 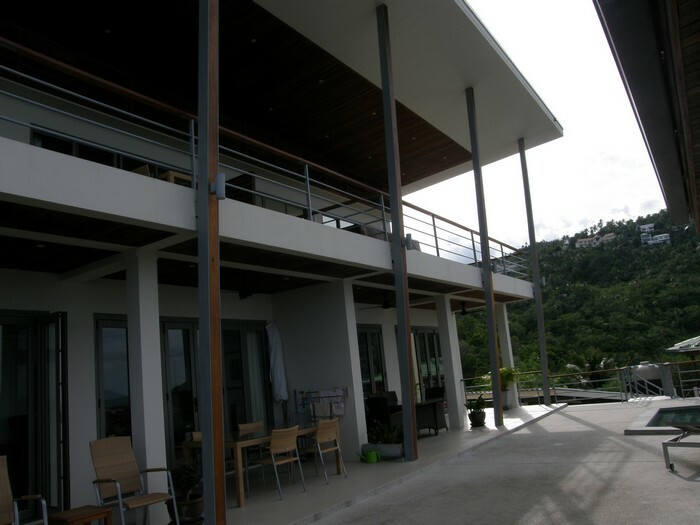 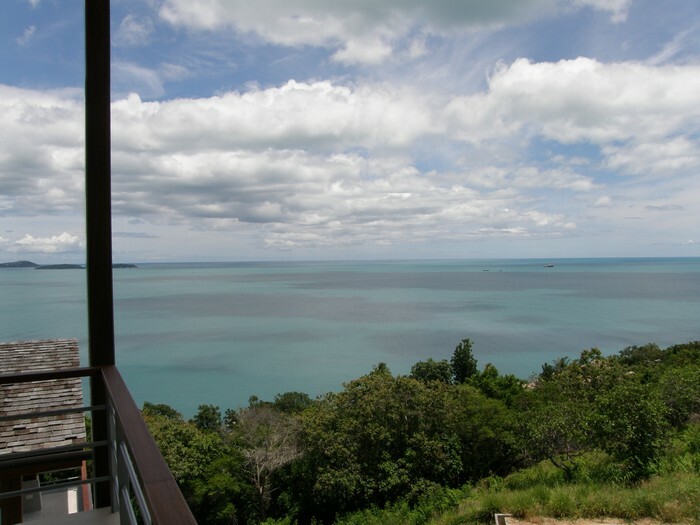 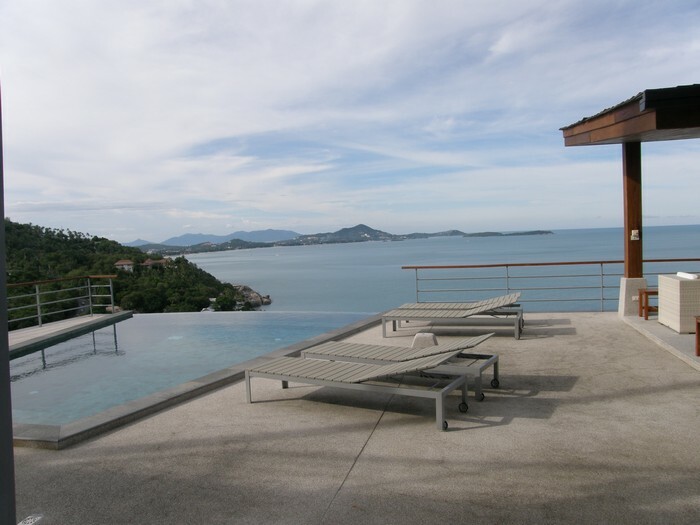 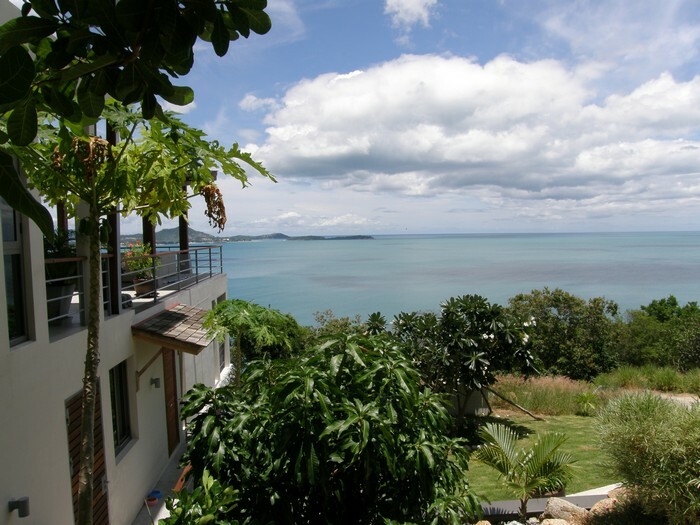 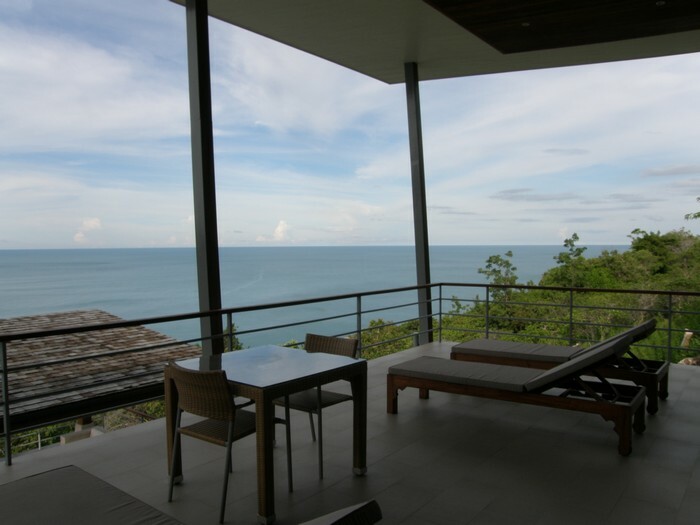 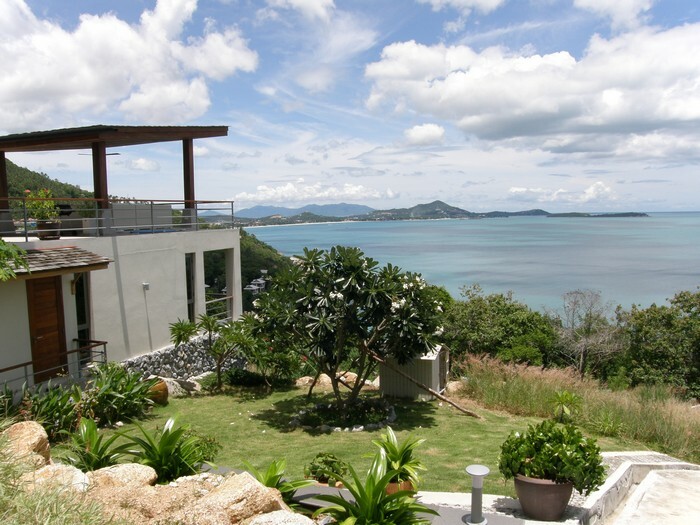 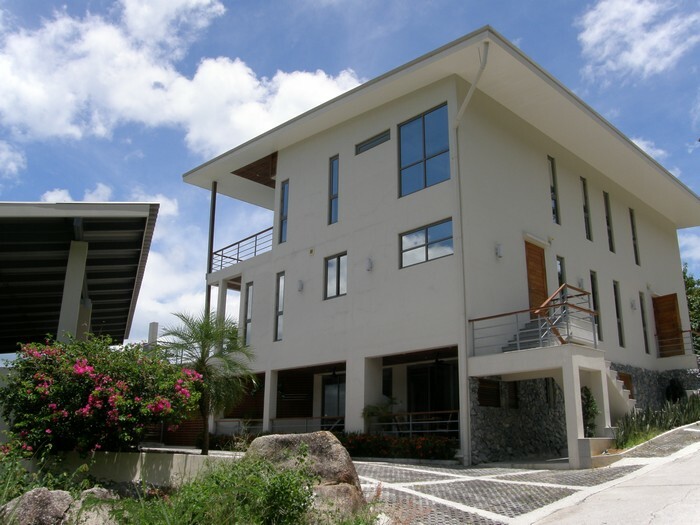 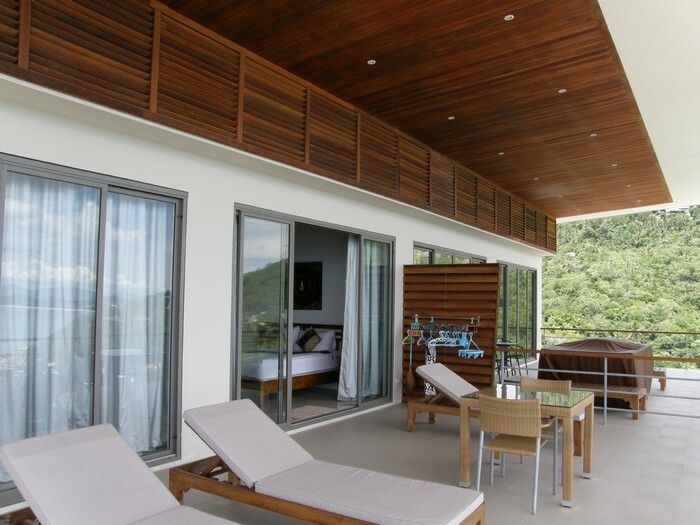 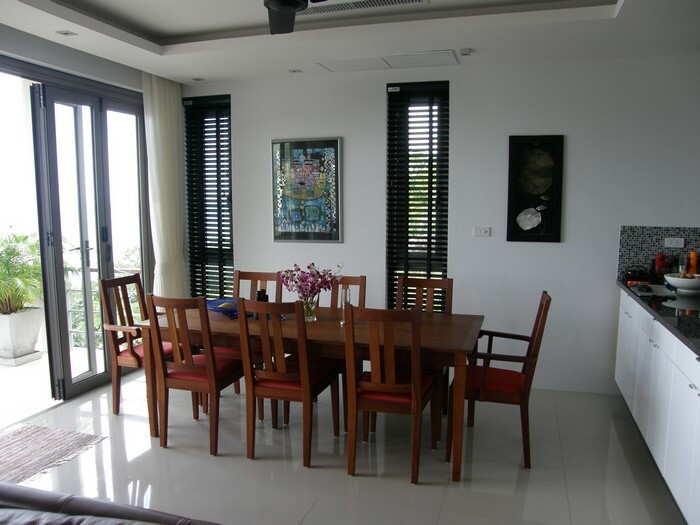 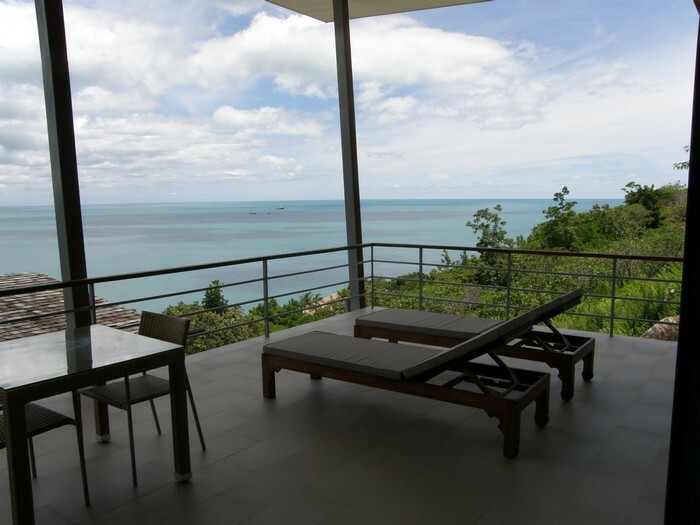 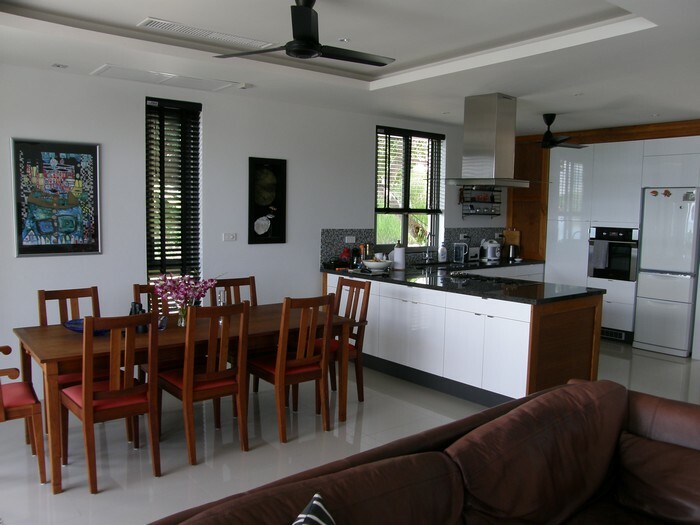 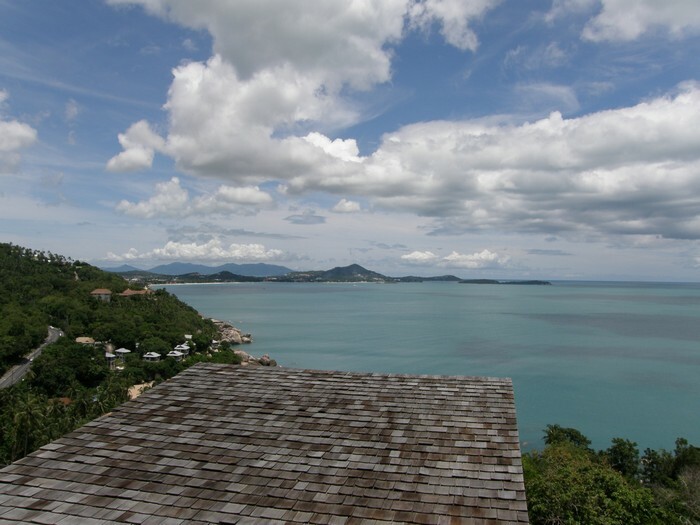 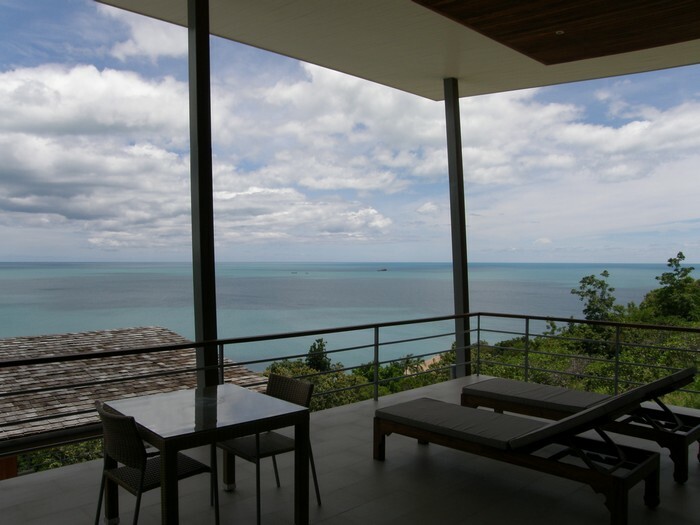 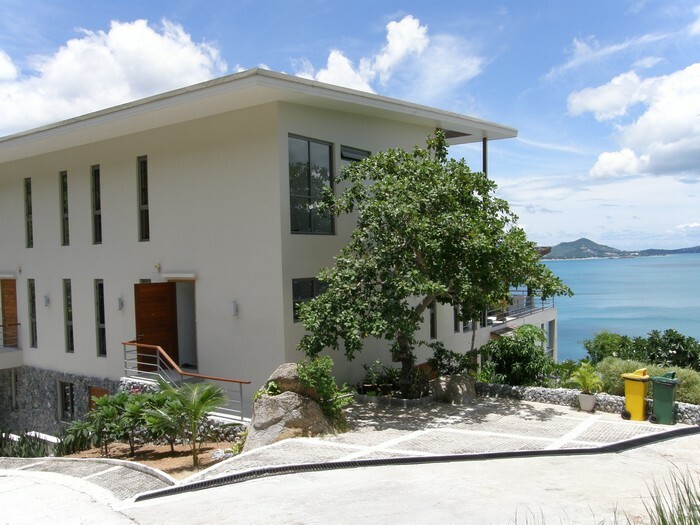 Located in the tropical hillside of Chaweng Noi, this luxury complex of 4 apartments is an ideal rental business opportunity for those seeking a Koh Samui property investment. 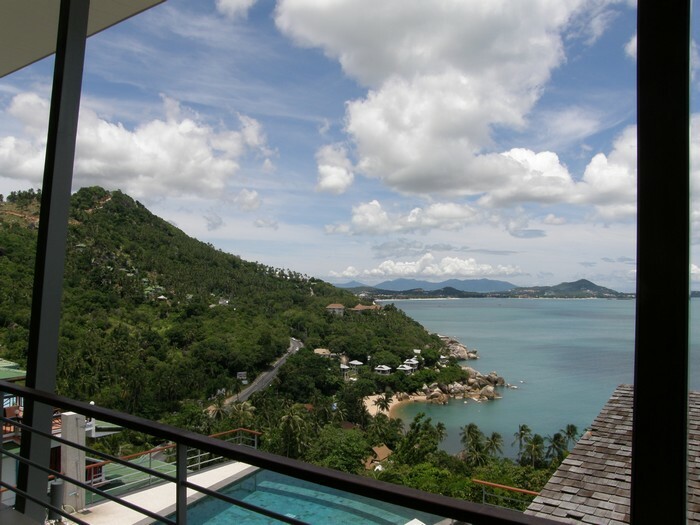 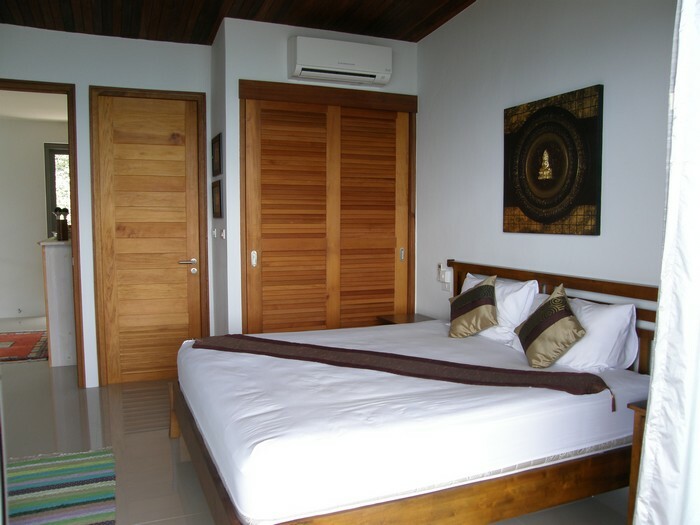 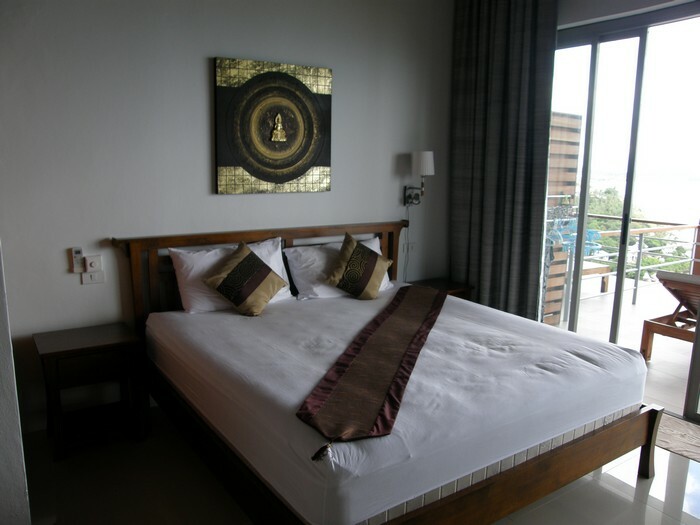 The property consists of 4 separate apartments; 2x 3 bedrooms, 1x 2 bedrooms and 1x 1 bedroom units built around a communal pool with stunning panoramic views over the Chaweng Noi bay. 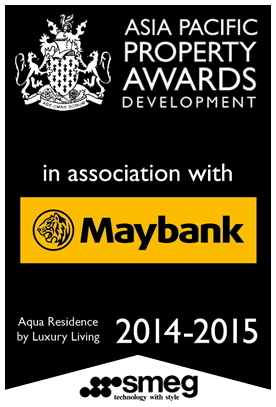 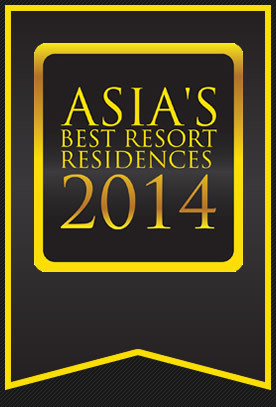 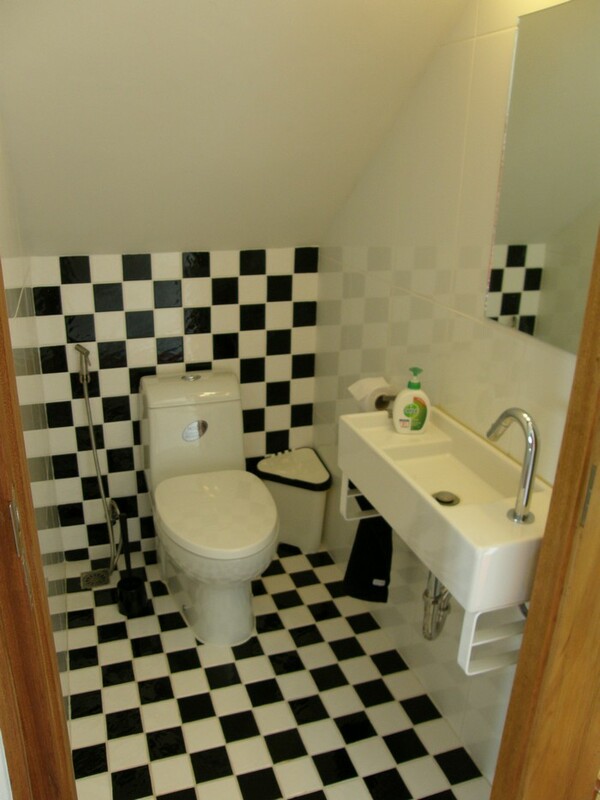 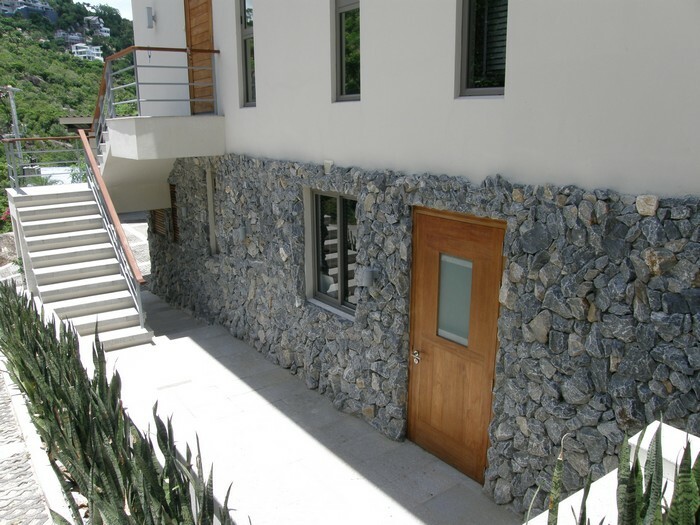 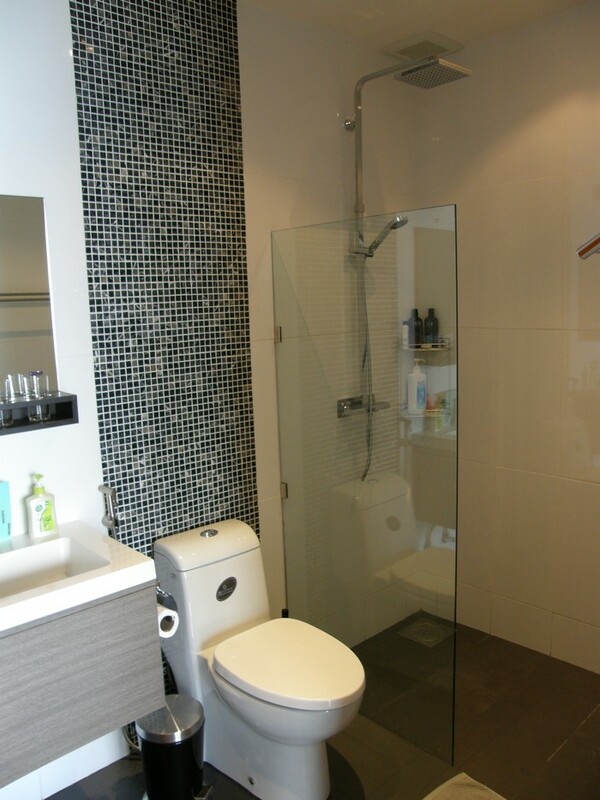 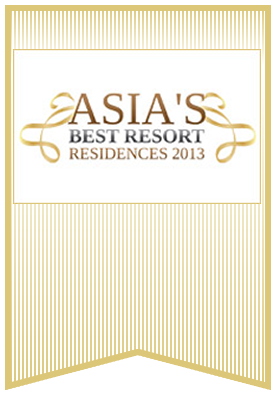 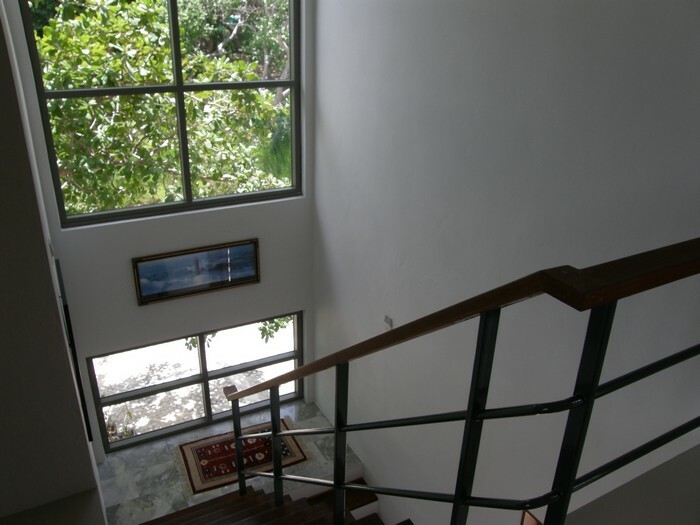 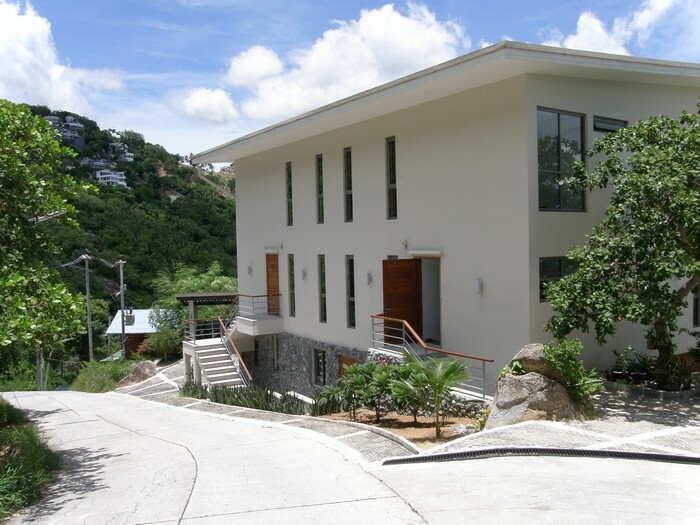 2x Apartments in 2 floors (200 sqm) 3 bedrooms, 3 bathrooms, Kitchen and living room. 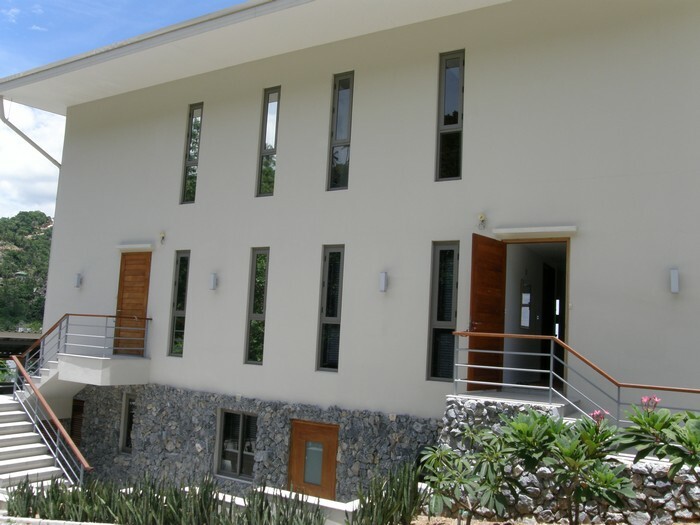 These 3 bedroom apartments can also be split into two with an upstairs and downstairs unit offering 2 and 1 bedrooms respectively. 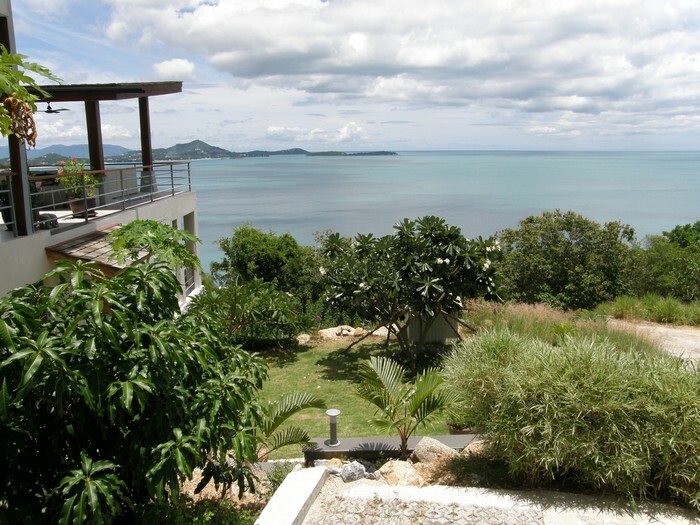 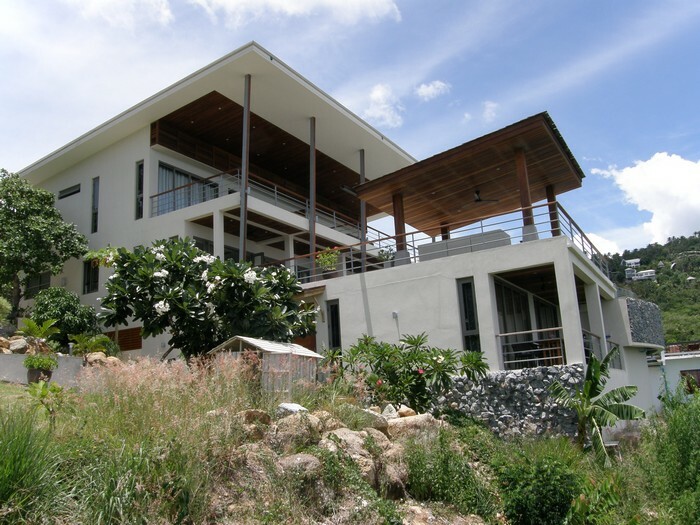 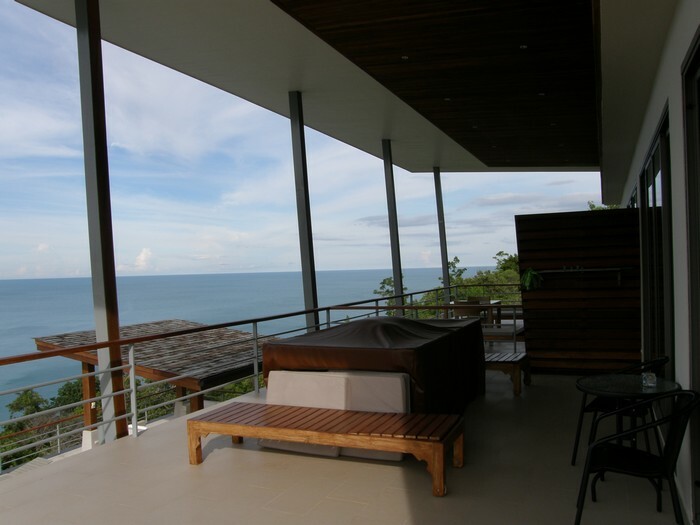 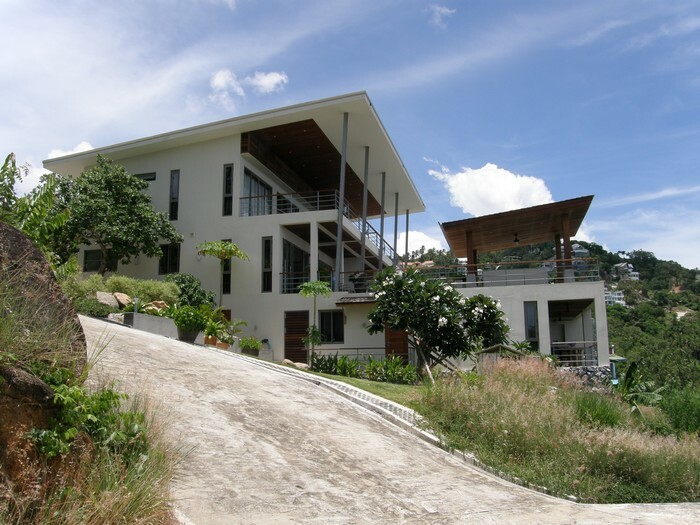 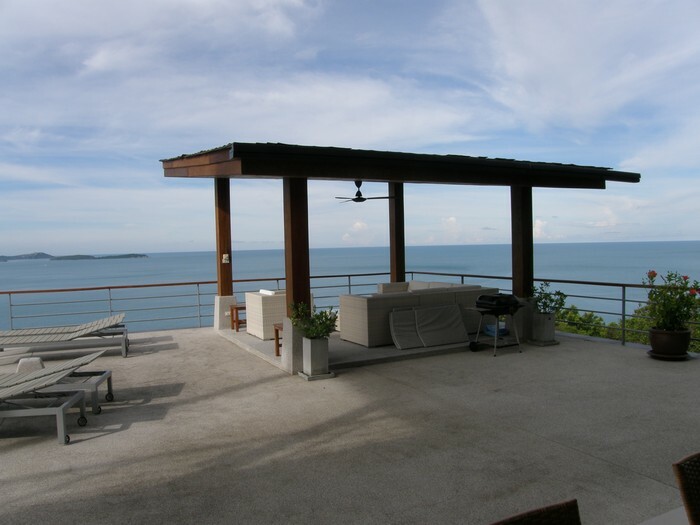 The property also has a 40sqm swimming pool and sala pavilion with sea views, private parking for 5 cars and motorbikes and a laundry.